Are the perfect combination of a bounce house rental and a waterslide rental. 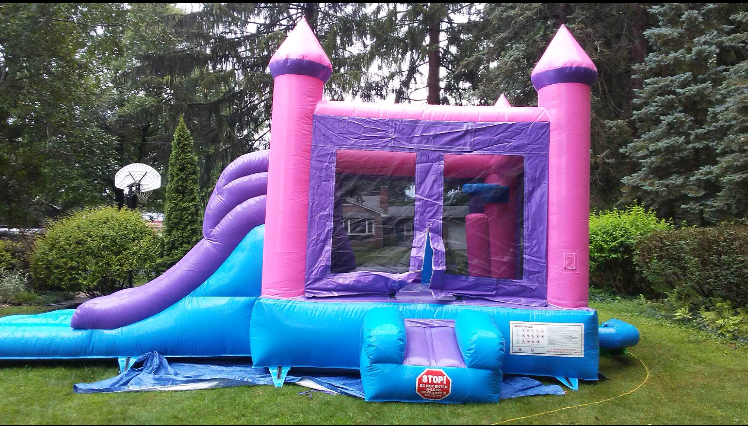 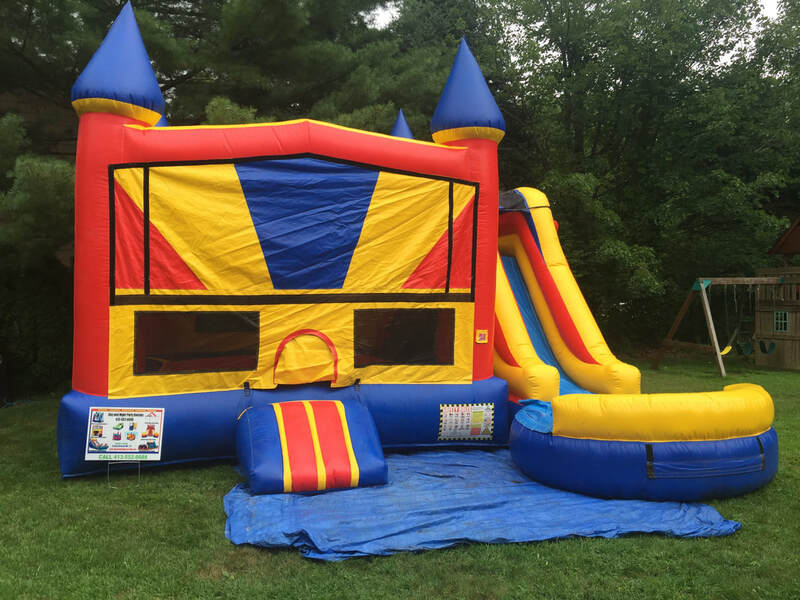 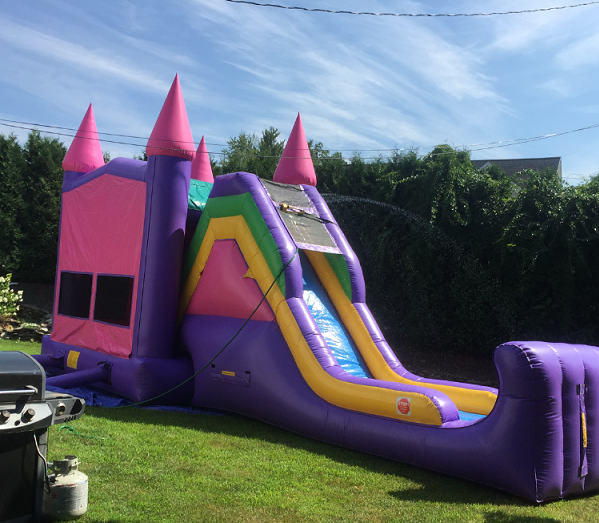 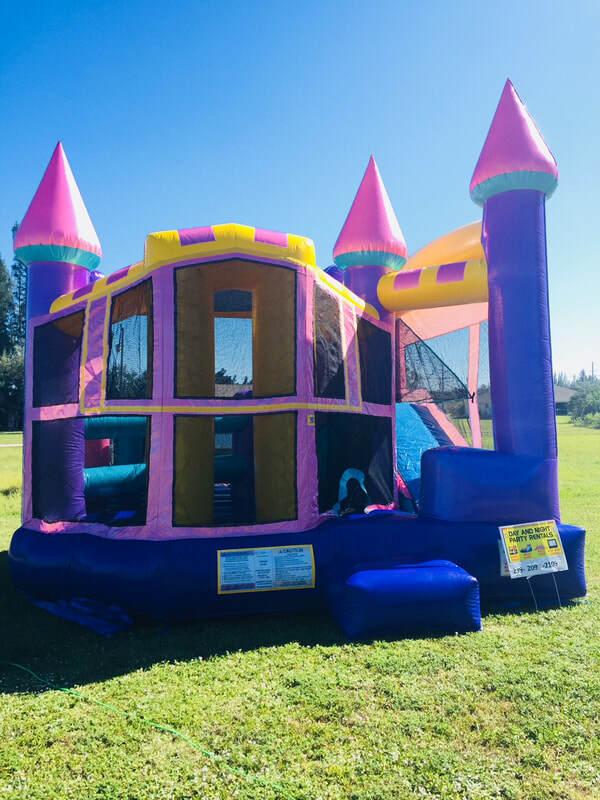 Each Combo Bounce House Rental has a large bouncing area, a basketball hoop for added fun and a slide that can be used wet or dry. 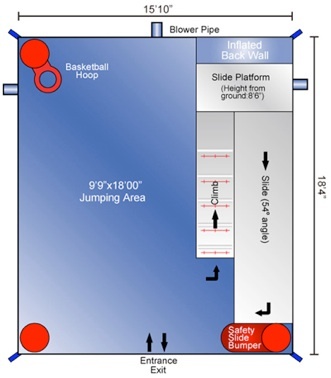 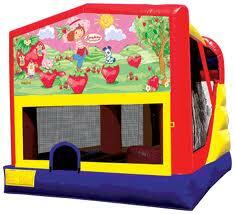 The kids will have hours of fun bouncing, shooting baskets and going down the slide. 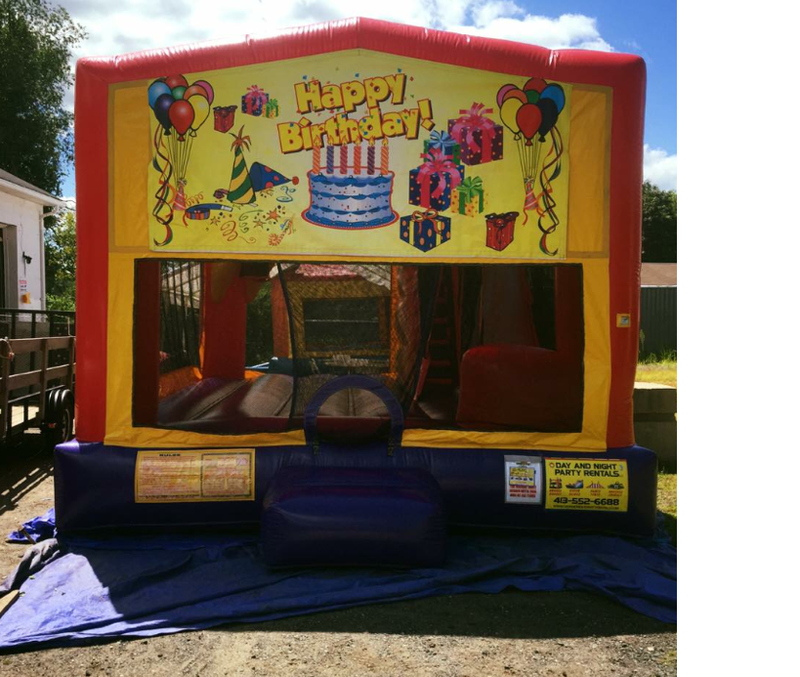 The multi colored combo bounce house is most popular and good for both boys and girls and will go with any themed party you have planned. 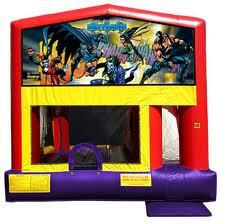 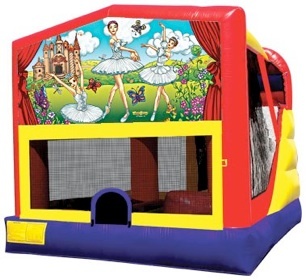 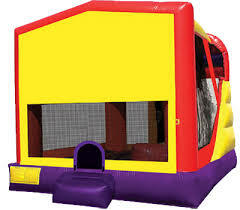 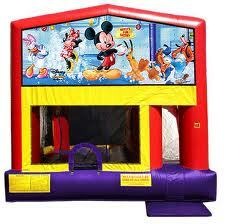 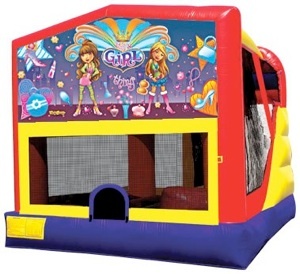 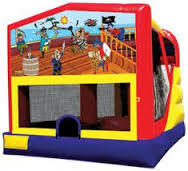 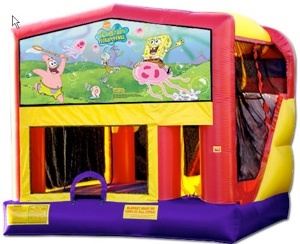 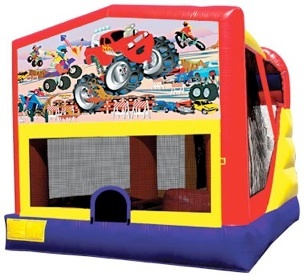 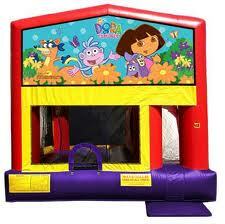 Ludlow Bounce House Rentals carries several different themed combo bounce houses. For girls we have Disney Princess, Frozen, Dora the Explorer, Luau, Girl Power and more. 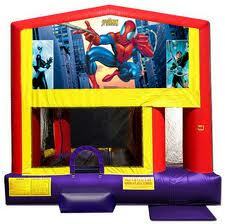 For boys we have Spiderman, Batman, Monster Truck, Sports, Sponge Bob and more.